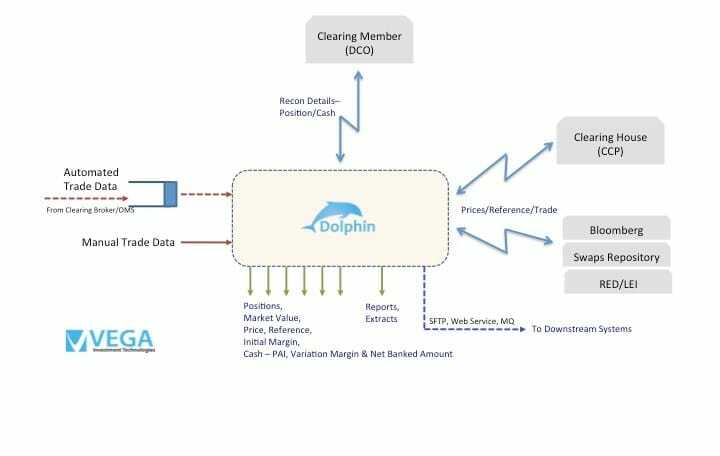 The Dolphin solution for post-trade processing of derivative instruments is envisioned with compliance, operational efficiency and data integrity as its core tenets. The platform delivers a seamless experience to process and manage the complete life cycle for Bilateral, Cleared and also Listed derivatives. The platform gets swap products to market quickly via its dynamic product configurator functionality. The platform also makes it easy to generate operational reports daily and deliver a real-time view of the derivatives operations. It is deployable on premise or in the private cloud with uncompromising performance and is supported by a global team. In addition the platform is built using a highly flexible services-oriented architecture (SOA) with layers of reusable services and integrates seamlessly with existing systems to help modernize your IT environment while retaining and extending the value of your existing technology investment.